A guitar band that manage to sound unlike any other reside in Manchester, England: Everything Everything. 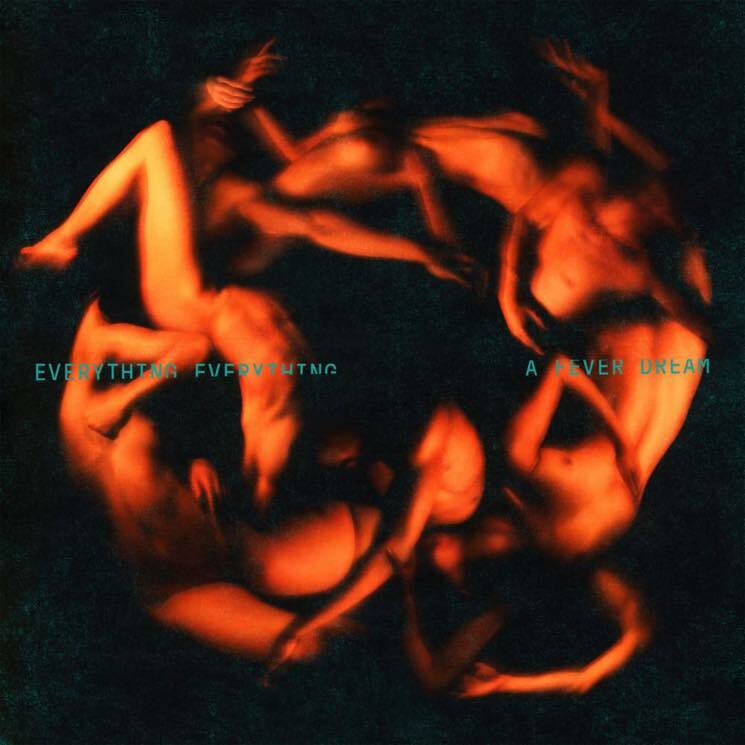 Two years after their acclaimed third record, Get to Heaven, which grappled heavily with an increasingly hostile political climate through genre-bending pop, they're releasing album number four, A Fever Dream. With the help of producer James Ford (Arctic Monkeys, Simian Mobile Disco), the band meld piercing guitar riffs with heavy, electronic driven sounds to create an album that lead singer Jonathan Higgs describes as covering the "person to person aftermath" of the recent years' global upheaval. Arresting, in-your-face numbers are front and centre here, indicative of the band's refusal to compromise their sound, which hinges on Higgs' dynamic vocals. The jittery opening of "Night of the Long Knives" bursts into emotion-laden vocals and doomsday synths, along with the sweetly delivered refrain: "Shame about your neighbourhood." The band take down Trump in the deceptively restrained verses of "Big Game," as Higgs predicts that, "Someone's going to pull your big trousers down, and I think you might explode." Musically, the track has a scattered rhythm and foreboding bass line, and guitarist Alex Robertshaw provides an angular and chunky riff to fill out the bridge. The album finds its strength in understated sections that rub up against explosive, cathartic elements. "Good Shot, Good Soldier" is minimalistic and synth-driven, and leads seamlessly into the delicate verse melodies of "Run the Numbers," where Higgs asserts that, "The corridors of power are echoing with something for everyone / nothing there for you and there's nothing there for me." The beauty of A Fever Dream reaches a highpoint in the cascading rhythms and guitar chimes of "Put Me Together," which feels Blue Nile-inspired in its quieter moments. The cyclical nature of the album's title track heightens emotions, distortion swirling around the pounding rhythm section to build a sonic nightmare. The band capture the emotional stress of living in a divisive reality with precision on this record, which culminates in the absurd vitriol of "Ivory Tower."